Done many things and still not able to get enhance site experience..Don’t worry we have a perfect solution for your website speed and make it much faster and it only takes 5 min. Yes you heard right only 5 min. to setup and your site will become really fast. SiteGround hosting, you can take advantage of our cloud platform in order to host your website, without having to worry about any of the server management troubles. Exclusive partnership with CloudFlare allows to bring you the latest website acceleration technology with no additional costs. CloudFlare Railgun decreases your page load times all around the world, their partnership offers you this website optimization software valued at $200 for free. 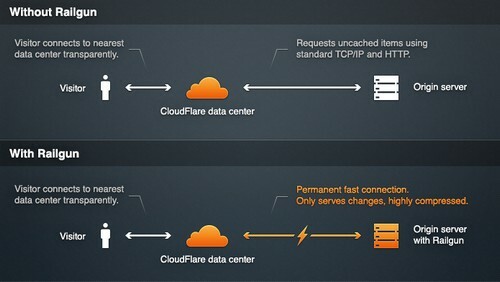 CloudFlare designed its CDN (Content Delivery Network) without the legacy of the last 15 years. Their proprietary technology takes advantage of recent changes to hardware, web server technology and network routing. In other words, They have built the next-generation CDN. The result is a CDN that is easier to setup, more affordable, and performs better than any legacy CDN you’ve tried before. 1). Signin your Cloudflare account and add your websites. You can add multiple websites by putting (,) after every site. 2). Update your DNS Settings by adding A, AAAA and CNAME records can have their traffic routed through the CloudFlare system and update your Nameservers propagation takes around 12-24 hours. 4). Goto – Security Setting and check anything you want to update or leave as it is and proceed to next. 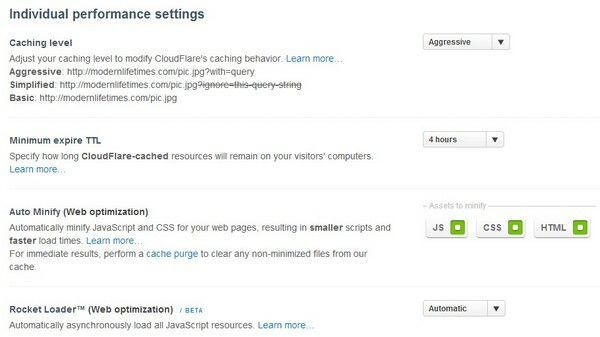 Adjust your caching level to modify CloudFlare’s caching behavior. Change it to Aggressive. After done with settings our site performance increased. Page speed grade increased from 85% to 94% (B to A) and YSlow Grade from 63% to 91% (D to A). Do let us know about your site performance by implementing the above changes or you have any other ways to get more better results. Please comment below. People rave about CloudFlare. Makes sense to speed things up and improve your reader experience. Smart post, thanks for the share! 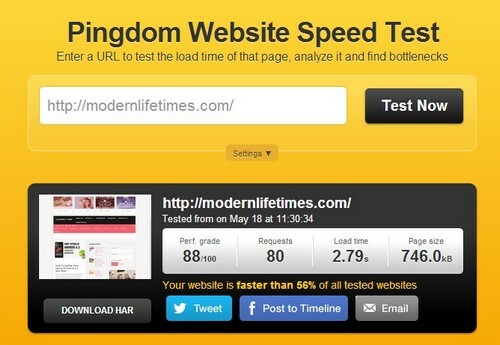 Yep i know that and yes speed is very important for site ranking and performance on search engines & for readers. Glad you enjoyed the post.